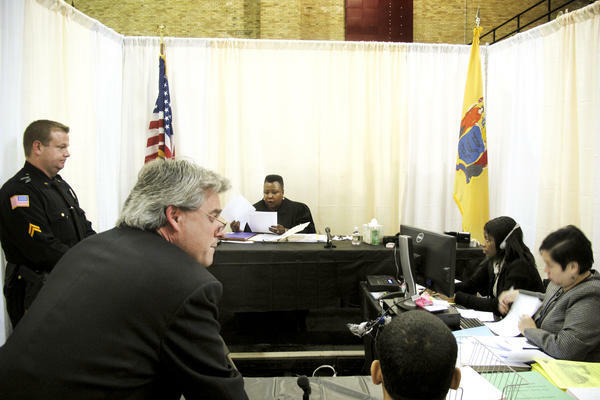 The proliferation of court fees has prompted some states, like New Jersey, to use amnesty programs to encourage the thousands of people who owe fines to surrender in exchange for fee reductions. At the Fugitive Safe Surrender program, makeshift courtrooms allow judges to individually handle each case. The program is designed specifically for nonviolent felonies. The first stop after waiting in line is inside a church to officially surrender. 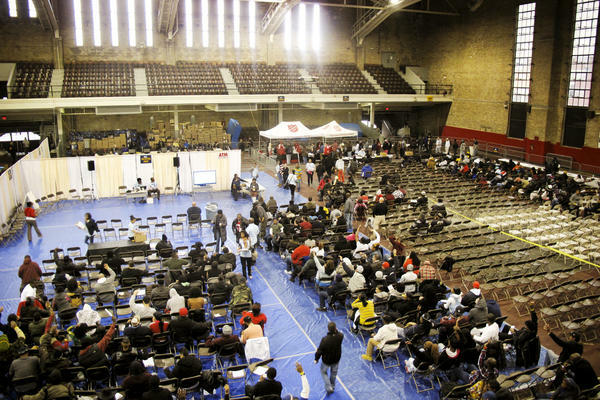 Those seeking to adjudicate their cases then go across the street to the New Jersey City Armory, where they wait for judges to review their cases. People who owed thousands of dollars in court fines and fees received significant reductions in what they owed. A cashier was set up so the fees could be paid immediately. 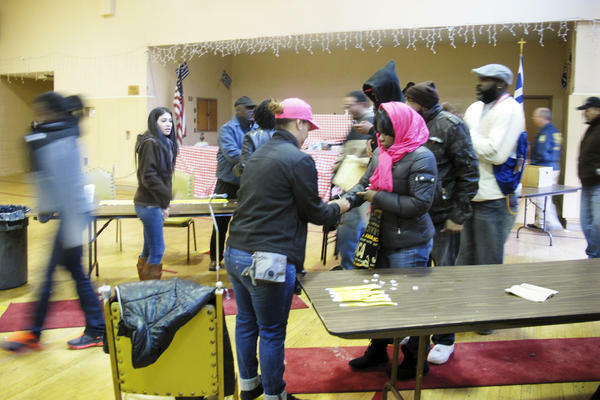 During the four-day Fugitive Safe Surrender program, more than 4,500 people turned themselves in. Makeshift courtrooms were set up inside the armory for judges to review each case. 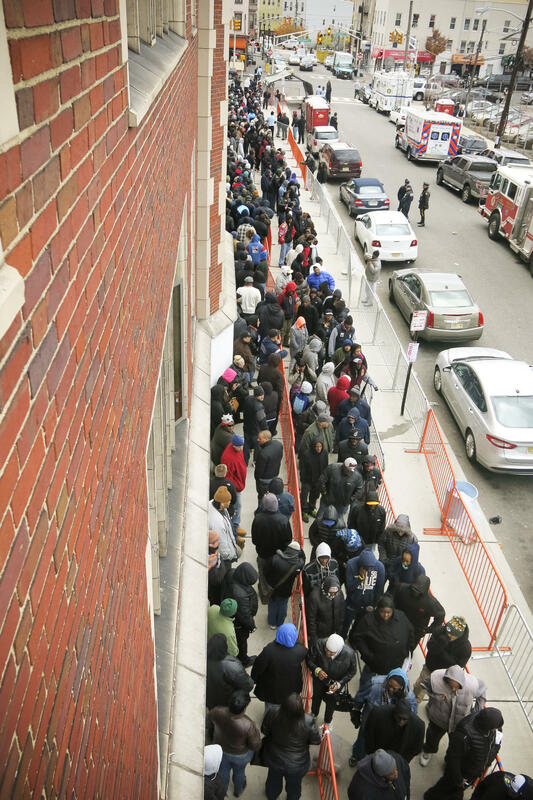 Hundreds of New Jersey residents line up for the state's Fugitive Safe Surrender program. During four days last November, people with unpaid fines and fees were able to get significant reductions. 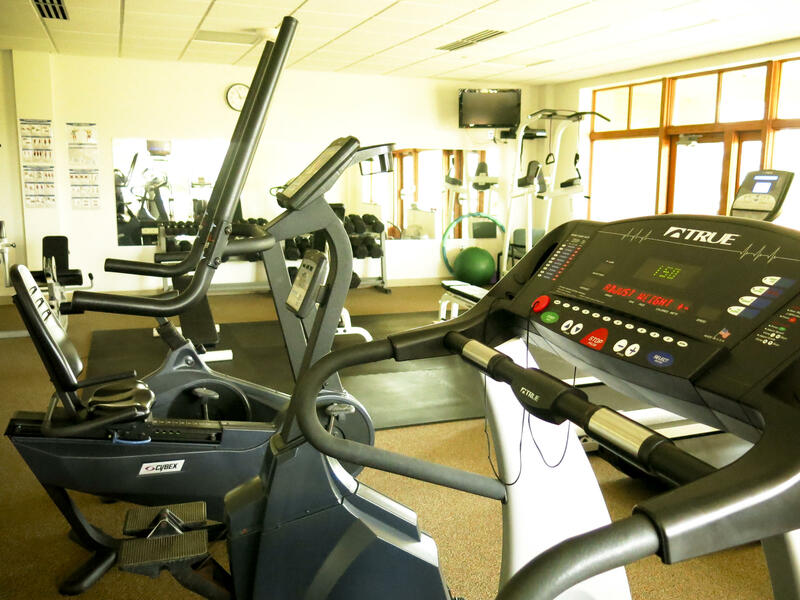 The funds from the rising costs of court fees in places like Allegan County, Mich., are used to help pay for all sorts of court-related items, including this fitness center for county employees. Stephen Papa was sentenced to 22 days in jail, not because of his original offense — destruction of property and resisting arrest after he got drunk with friends one day — but because he couldn't pay the fines and court fees. At his hearing, the judge asked for a $50 first installment on his $2,600 in court debt, but Papa, who was homeless and on the verge of starting a new job, had only $25. In Benton County, Washington, on a typical day, about a quarter of the people sentenced to jail through the misdemeanor court were there because they had failed to pay their court fines and fees. The common thread in these cases, and scores more like them, is the jail time wasn't punishment for the crime, but for the failure to pay the increasing fines and fees associated with the criminal justice system. These fees — which can add up to hundreds or even thousands of dollars — get charged at every step of the system, from the courtroom, to jail, to probation. Defendants and offenders pay for their own arrest warrants, their court-ordered drug and alcohol-abuse treatment and to have their DNA samples collected. They are billed when courts need to modernize their computers. In Washington state, for example, they even get charged a fee for a jury trial — with a 12-person jury costing $250, twice the fee for a six-person jury. In Allegan County, Mich., Frederick Cunningham pleaded guilty to forging a prescription for pain medication and was told to pay $1,000 in "court costs." Testimony from a court official in a case where Cunningham challenged his fees shows that $500 reimbursed the program that paid for the impoverished man's court-appointed attorney and $500 helped pay for the costs of running the county courthouse. Those costs include the salaries of court employees, for heat, telephones, copy machines and even to underwrite the cost of the county employees' fitness gym. "The only reason that the court is in operation and doing business at that point in time is because that defendant has come in and is a user of those services," says Michael Day, the administrator for the Allegan County Circuit Court. "They don't necessarily see themselves as a customer because, obviously, they're not choosing to be there. But in reality they are." Courts usually offer alternatives to paying fees, like doing community service. But sometimes there's a cost with that, too. Jayne Fuentes, in Benton County, Wash., went on the county work crew to pay off her fines — only there was a $5-a-day charge, which she had to borrow from her daughter. The people most likely to face arrest and go through the courts are poor, says sociologist Alexes Harris, at the University of Washington. She's writing a book on these fees and the people who struggle to pay them. "They tend to be people of color, African-Americans and Latinos," Harris says. "They tend to be high school dropouts, they tend to be people with mental illness, with substance abuse. So these are already very poor and marginalized people in our society, and then we impose these fiscal penalties to them and expect that they make regular payments, when in fact the vast majority are unable to do so." Many fees can be waived for indigent defendants, but judges are more likely to put the poor on a more manageable payment plan. Courts, however, will then sometimes tack on extra fees, penalties for missed payments and may even charge interest. In Washington state, for example, there's 12 percent interest on costs in felony cases that accrues from the moment of judgment until all fines, fees, restitution and interest are paid off in full. As a result, it can be hard for someone who's poor to make that debt ever go away. One state commission found that the average amount in felony cases adds up to $2,500. If someone paid a typical amount — $10 a month — and never missed a payment, his debt would keep growing. After four years of faithful payments, the person would now owe $3,000. Virginia Dickerson, of Richland, Wash., has been drug-free for more than three years and out of jail for over a year. She's living in a treatment house and working as a waitress and cook. On the day last fall when NPR reporters met her, Dickerson was at the courthouse trying to get a summary of how much she owed in fines, fees and interest. The total: almost $10,000. "I don't want to have to worry about going to jail. And that is my biggest fear," she says. "Relapses aren't even a thought to me. This is the only thing that is hindering me." When an impoverished person fails to keep up with these payments, he has violated probation. There may be more fees and penalties. In some states, people who don't pay can lose their driver's license or benefits like food stamps. Sometimes felons have to pay before they get back their right to vote. NPR's reporting came across many of these situations, including a woman in her 60s who lost her subsidized housing for seniors and became homeless. It was discovered she still owed $500 on a conviction decades before for forging a prescription. Other examples included people who didn't pay court costs and lost their driver's license, but they kept driving — to get to work, to get kids to school — until they were caught, went to jail and were assessed thousands of dollars in more fines and fees. The result is that people face arrest and go underground to avoid police. But this means they cut themselves off from job opportunities, welfare benefits or other programs that could get them on their feet. "There are a lot of things you can't do. A lot of jobs you can't apply for," says Todd Clear, who studies crime policy and is provost of Rutgers University, Newark. "Lots of benefits you can't apply for. If you have a license, a driver's license that needs to be renewed, you can't renew it. So what it means is you live your entire life under a cloud. In a very real sense, they drop out of the real society." Eddie Restrepo was one of those dropouts. Three years ago, the Iraq Army veteran came home to New Jersey but couldn't find work. He was homeless and all he had was his car. He didn't have the money to renew his license — or to pay the fines when he got caught by police. He says he was caught twice: driving with a suspended license, with no registration or insurance, and for many unpaid parking tickets. There was also interest that went unpaid. "I was always hiding from the cops," he says. "If I was driving, I had to turn left when they were coming right. I was always trying to hide." During a four-day period last November, nearly 4,500 people turned themselves in to Fugitive Safe Surrender, a New Jersey program for people with unpaid fines and fees to get significant reductions. A judge reset Restrepo's court debt — from $10,000 to what Restrepo called "a measly" $199. And that has helped him get back on track. Last year, he took a job with the parking enforcement agency. He now gives out the kinds of citations and fines that got him into trouble. But across the country, NPR found cases of hundreds of Americans who are jailed for failure to pay off those court debts. This month, the governor of Colorado signed a law that tells judges they can't send people to jail simply because they're too poor to pay fines and fees. The action came after the American Civil Liberties Union of Colorado challenged the practice of courts in three Colorado cities. One example was a case in Westminster. Jared Thornburg was ticketed for making an illegal left turn. He went to court and the offense was dropped to driving a "defective vehicle," a ticket with $165 worth of fines and fees. At the time, he was homeless and unemployed. He had recently lost a job at an oil field after a serious workplace injury. So he couldn't pay the ticket. The day before he was to start a job at Taco Bell, he says, he was arrested for not paying the fines, which had increased to $306. He was sentenced to 10 days in jail. "I cried a lot being in jail because I was scared," Thornburg says. It cost the city of Westminster about $70 a day to jail Thornburg, according to the ACLU of Colorado. "How is that humanely right?" he asks. "It cost the taxpayers more than what my fine was for and it just wasted 10 days of my life." But some communities argue they make needed money from fines and fees. NPR obtained a year of jail records from Benton County and sampled data over a four-month period in 2013. On a typical day, about a quarter of the people who were in jail for misdemeanor offenses were there because they had failed to pay their court fines and fees. Benton County District Court Judge Robert Ingvalson defends the county's heavy use of fines and fees — and jail time for those who don't pay. He says it's needed to hold people accountable when they break laws. "If they won't pay the money, the only thing we can take from them at that point is their time," Ingvalson says. But Vanessa Torres Hernandez, an attorney with the ACLU of Washington who recently wrote a report criticizing the practice, disagrees. "If you have resources, a court fine and fee isn't a big deal. You can pay that money. You can walk free. But for people who are already poor, the court fine and fee is in essence an additional sentence," she says. One result, she says, is that poor people are faced with difficult choices, sometimes using money they need for food or rent to pay court costs to stay out of jail. Benton County collects just a fraction of all the fines and fees it's owed. But the county still collected $13 million in 2012 — making it one of the state's top revenue producers. There is some debate in Benton County about whether that's a good thing. Court officials note with pride how much money they raise. But local police chiefs say money goes out, too. It costs the police departments about $65 a day to keep someone in jail for not paying their fines. The county prosecutor worries that the practice is unfair to poor defendants, and he has asked local judges to put a cap on how many days they will put people in jail. "I actually have some question about the fairness of some of the fines that are imposed," says Benton County Prosecuting Attorney Andy Miller. "But a lot of these fines are mandatory, set by the legislature." Who's Too Poor To Pay? In 1983, the U.S. Supreme Court ruled in Bearden v. Georgia that people can't be sent to jail simply for being too poor to pay fines and fees. The court said someone could be sentenced only if he or she had the money and had "willfully" refused to pay. But the justices did not define what that meant. The result is that it's often left to judges to make the difficult calculation: Who's too poor to pay. And who can, but didn't. NPR found sweeping discrepancies across the country over how courts make those decisions. Some judges will tell an offender to give up their phone service, or quit smoking cigarettes and use the money instead to pay court debt. Some judges and politicians — even ones with reputations for being hard on crime — are starting to question whether the use of fines and fees has gone too far. The new law in Colorado was passed on a near-unanimous vote of Republicans and Democrats. Courts, too, have taken action to limit the use of fees. Last month, a U.S. district judge stopped the city of Montgomery, Ala., from collecting traffic fines from three defendants who went to jail for failure to pay fines and fees. And over the last two years, judges in Alabama and Georgia have ruled in other cases to limit fines and fees. Earlier this year, the Ohio State Supreme Court warned judges to stop putting people in jail simply because they're too poor to pay a fine. The roots of the growing practice to add more fines and fees can be dated back to the start of America's tough-on-crime policies, beginning with the War on Crime in the 1970s and then the War on Drugs in the 1980s. In 40 years, the number of people behind bars in the U.S. jumped 700 percent. Jails, prisons and courtrooms became overcrowded. And the costs of running them, according to the federal Bureau of Justice Statistics, rose from $6 billion for states in 1980 to more than $67 billion a year in 2010. At the same time, states struggled with budget deficits. Politicians faced new pressure not to raise taxes. So states started charging user fees to defendants. Fines have long been a tool for judges; for decades they've been another form of punishment. The focus on fees, that are used to pay court, jail and probation costs, is newer. One of the first instances NPR found of fees charged to criminal defendants was in 1965 when California required payments to reimburse crime victims. By the 1980s, states started billing criminal defendants to reimburse taxpayers. Michigan, in 1984, passed the first law to charge inmates for some of the costs of their incarceration. By 1990, Texas reported that fees from offenders made up more than half the budget of the state's probation agencies. Today, fees are more common than ever, as states are under increased pressure to find funding. NPR, with help from the National Center for State Courts, surveyed state laws since the recent recession and found 48 states have increased criminal and civil court fees, added new ones or both. The number of Americans with unpaid fines and fees is massive. 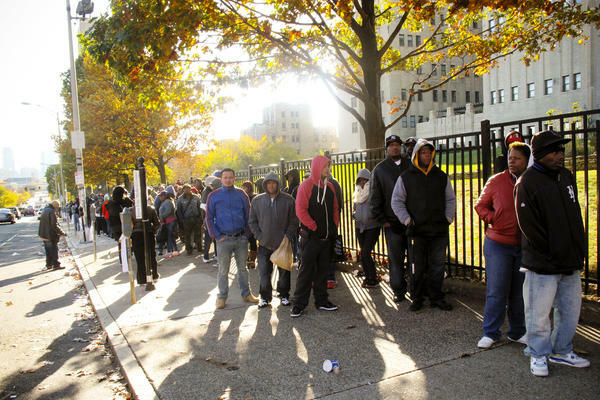 In 2011, in Philadelphia alone, courts sent bills on unpaid debts dating back to the 1970s to more than 320,000 people — roughly 1 in 5 city residents. The median debt was around $4,500. And in New York City, there are 1.2 million outstanding warrants, many for unpaid court fines and fees. The growth in the number of people who owe court-imposed monetary sanctions shows up in surveys by the U.S. Department of Justice, too: In 1991, 25 percent of prison inmates said they owed court-imposed costs, restitution, fines and fees. By 2004, the last time the Justice Department did the survey, that number climbed to about 66 percent. But Harris of the University of Washington estimates that 80 to 85 percent of inmates now leave prison owing these costs. The growth of the fees charged for a public defender is typical of the way these charges have grown. In 1963, the Supreme Court — in the landmark case, Gideon v. Wainwright -- ruled that indigent criminal defendants have a right to a lawyer. But the high court didn't say how states were to pay for those lawyers. 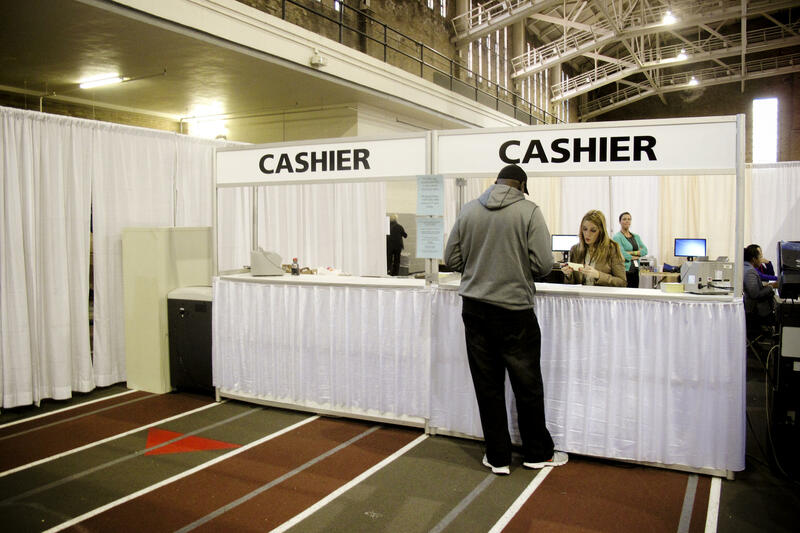 So states turned to user fees. The NPR survey found, with help from the Brennan Center for Justice at New York University School of Law, that in at least 43 states and D.C., defendants can be billed for a public defender. We found two typical charges: an upfront application fee to hire a lawyer, which can range from $10 to $400; and reimbursement fees, which can cost thousands of dollars. "After the fact you can be asked to reimburse up to the full cost of your representation," says Alicia Bannon, an attorney with the Brennan Center. The courts — including the Supreme Court — have justified this by saying even a poor person can often pay something — even if it's just that small application fee. Or maybe that person is poor today, but tomorrow will find a good-paying job and have money. In reality, NPR found that poor people sometimes skip using an attorney. Or they carry the debt for their court-appointed lawyer for years. Tom Barrett, who stole that can of beer in Augusta, Ga., was offered a court-appointed attorney, but turned the service down because he didn't want to pay the $50 administration fee. Now he says that was a mistake. A lawyer might have helped him stay away from a deal he couldn't afford. His costs added up to more than $400 a month, which included daily rental of the electronic monitoring device and fees to a private firm that managed his probation. But Barrett was homeless. His only income, other than food stamps, came from the $35 he got selling his plasma to the blood bank. So when he quickly fell behind on his payments, he was sent to jail. The NPR survey found, all states — except for Hawaii and also the District of Columbia — now allow or even require the cost of those devices to be passed along to those ordered by a court to wear one. Usually that includes a daily rental fee: Typically around $5 for a tracking device and often twice as much to rent the alcohol monitoring device. It also includes the cost of a land-line phone for the systems to work, and an installation fee. Last fall, Augusta Superior Court Judge Daniel Craig put a temporary stop to forcing poor people to pay fees for the devices and other costs. NPR's Emma Anderson, Nicole Beemsterboer, Robert Benincasa and Barbara Van Woerkom contributed reporting and research to this investigation. It's ALL THINGS CONSIDERED from NPR News. I'm Audie Cornish. And I'm Robert Siegel. More and more defendants in the U.S. justice system are paying the costs of their own trials and sentences, and the poor can face tough penalties - even jail time - if they can't cover their fees. That's what an NPR investigation of the criminal justice system reveals and it's something found in all 50 states. It's a symptom of governments trying to manage the soaring costs of jails and courthouses. NPR investigative correspondent Joseph Shapiro brings us the first story in a series that we're calling Guilty and Charged. JOSEPH SHAPIRO, BYLINE: NPR got one year of jail records for Benton County, Washington. That county covers a windy sweep of farms and small cities along the Columbia River in southern Washington. We counted the people who went through the court that handles misdemeanor cases. And we found that, on a typical day, about 25 percent of those people in the county jail, are there not for their misdemeanor offenses but because they failed to pay the court fines and fees. Twice a week, the courts in Benton County call scores and scores of people to appear and explain why they've failed to pay. UNIDENTIFIED WOMAN #1: Your honor, if I could next call Barry Smith. SHAPIRO: These are people who say they're too poor to pay fines and fees that routinely reach hundreds or even thousands of dollars. They've been fined in District court on misdemeanors, like driving with a suspended license, or failing to put a kid in a car seat, and in Superior Court on felonies like drug possession, or, in this case, theft. A public defender explained why her client couldn't pay his fines. UNIDENTIFIED WOMAN #1: This young man, he gets a cash assistance of 197 per month. Currently, he is homeless. SHAPIRO: The defendant is wearing the brown uniform of the county jail. He was just arrested because he hasn't paid $1,200 he owes. Actually his bill just went up. The warrant that was issued for his arrest cost the county $100 - and it's charged to him. That's one of hundreds of examples NPR found of how courts - here and around the country - pass on costs to defendants. In this court, the defendant reminds the judge he's homeless. He says he can come up with $5 on each of his ten charges. But the judge notes that he's got years of unpaid fines and sentences him to jail. UNIDENTIFIED WOMAN #2: The court in this matter is going to impose 75 days, in this matter with a purge condition of $500. UNIDENTIFIED MAN #1: What am I supposed to do? Pray to God that it falls out of the sky in my hands, ma'am? UNIDENTIFIED WOMAN #2: Well, that's the court's ruling. UNIDENTIFIED MAN #1: But I don't have the money. SHAPIRO: Over the past year NPR sat down in courtrooms across the country, interviewed over 150 lawyers, judges, defendants in and out of jail, government officials and other experts. We analyzed jail bookings, read thousands of pages of court records and reviewed laws in each of the 50 states and the District of Columbia. What we found, again and again, is that the costs of the justice system in the United States are paid increasingly by the defendants themselves. The reliance on fines and fees started with the war-on-crime policies of the 1970s and '80s and kept growing, especially since the recent Great Recession. The result, NPR found, is that today's justice system adds a harsh penalty on people who are poor. And sometimes even jail time for crimes where people with money walk free. And that challenges the basic principle of justice that rich and poor are treated alike. Even some tough-on-crime politicians say it's gone too far. ROBERT SWISHER: OK. Court costs. SHAPIRO: Benton County Superior Court Judge Robert Swisher pulls the file on a man he sentenced the other day. SWISHER: For unlawful possession of a controlled substance, a felony, a Class C felony. SHAPIRO: The punishment for possession of methamphetamine is probation and 60 days on work crew. Plus, on this one charge, the man will owe $3,460. SWISHER: That's set by the legislature. We have no control over that. That's automatic. SHAPIRO: Most of the man's fines and fees are set in law. And what's collected pays for state programs, like one to help crime victims. But there's nearly $1,000 that county judges choose to charge, money that goes back to Benton County. SWISHER: And $600 reimbursement for the court-provided attorney. SHAPIRO: Did you catch that? The county charged the man $600 for his public defender. You probably think of that as a free lawyer for people too poor to pay for one on their own. But the NPR survey - and on this part we got help from the Brennan Center for Justice at New York University School of Law - showed that 43 states now allow defendants to be charged at least an administrative fee for the use of a public defender. The NPR survey found a proliferation of other charges. When someone goes to jail, 41 states allow them to be charged for room and board. When they're assigned a probation or parole officer, in 44 states they can be charged for that too. Just recently, courts have questioned these fees in Georgia, Alabama and Ohio. In Colorado just this month, the governor signed a law to stop judges from putting poor people in jail simply because they don't pay fines and fees. But in Benton County, Washington - and, NPR found, in places around the country- people who don't pay still do end up in jail. ROBERT INGVALSON: You commit a crime, there are consequences. And we only have two consequences: That's your time or it's your money. SHAPIRO: Benton County District Court Judge Robert Ingvalson defends the county's heavy use of fines and fees and jail time for those who don't pay. He says it's needed to hold people accountable when they break laws. INGVALSON: If they won't pay the money, the only thing we can take from them at that point is their time. VANESSA TORRES HERNANDEZ: So, the threat of incarceration is used to try to squeeze money from those who do not have it. SHAPIRO: That's Vanessa Torres Hernandez, an attorney with the American Civil Liberties Union of Washington. HERNANDEZ: If you're wealthy, right, if you have resources, a court fine and fee isn't a big deal. You can pay that money. You can walk free. But for people who are already poor, the court fine and fee is in essence an additional sentence. SHAPIRO: Two thousand five hundred dollars: that's the average amount of fees, fines and restitution owed by someone convicted of a felony in Washington. It can be hard to make that debt ever go away. The state adds 12 percent interest and more fees. JANIE FUENTES: Most of my charges stem from being addicted to meth, cocaine and heroin. And I've been clean 16 months. So, I've changed my life around. And I'm trying to do the right thing. SHAPIRO: That's Janie Fuentes. 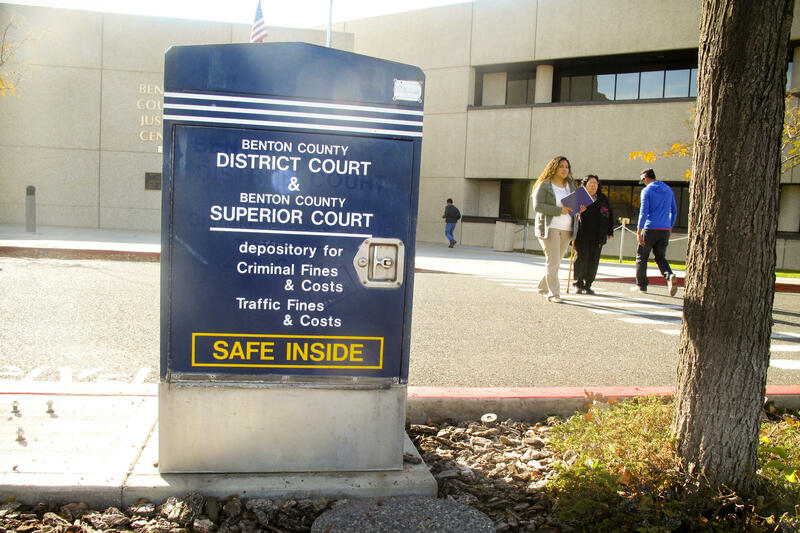 Some in Benton County, who watch their district court fines keep growing, go to jail for a month, two months or more in exchange for wiping their bill clear. Or they go on a work crew for days or weeks, nine hours a day of physical labor like cleaning trash. They pay off their fines that way. Janie Fuentes has done both. FUENTES: I'm 45 years old and this is the first time in my life I've wanted to be clean. I actually have a life today. I got my kids back, my grandkids come every weekend. It's just awesome. SHAPIRO: But Fuentes worries that she'll go back to jail because she can't pay the several thousand dollars she owes in fines. So, on this day, she went to the court and signed up for the county work crew. But here's another example of what gets charged to the poor. There's even a fee - charged by the county - to join the work crew. It costs five dollars a day, Monday through Thursday. FUENTES: Yes, $20 a week. SHAPIRO: She's just out of prison. She pays for rent and groceries, but she hasn't found a job. FUENTES: So, I have to borrow the money to be on work crew. I'm going to be getting that from my daughter. SHAPIRO: Benton County collects just a fraction of the fines and fees it's owed. But the county still collected $13 million in 2012, making it one of the state's top revenue producers. There is some debate in Benton County about whether that's a good thing. Court officials note - with pride - how much money they raise. But local police chiefs say money goes out too. It costs the police departments about $65 to keep someone in jail for not paying their fines. And the county prosecutor worries that the practice is unfair to poor defendants and he's asked the local judges to put a cap on how many days they'll put people in jail. It's a debate not just in Washington State. It's being argued in states across the country. SHAPIRO: In Michigan, Frederick Cunningham forged a prescription to get painkiller drugs. He pleaded guilty. And a judge in Allegan County, Michigan sentenced him. SHAPIRO: Along with that prison time, Cunningham was charged fees $1200 of fees. FREDERICK CUNNINGHAM: Well, I actually didn't find out till the day of sentencing. And I was, frankly, quite shocked. I mean I just couldn't believe that I could be assessed $1200s. SHAPIRO: About $200 goes back to the state. These fees -mandated by the state legislature, fund various state programs; one to reimburse the out-of-pocket costs of crime victims, others to pay for the state forensic lab to train judges and highway patrol officers, and for the retirement fund for state lawmakers. But large amounts go back to the county. Five hundred dollars went to the program that pays for court-appointed attorneys. Cunningham got one of those lawyers because, living on a disability check, he was too poor to pay for one himself. Another $500 went toward the costs of running the court; the salaries of court employees, to heat the courtroom, to pay for the telephones and the copying machines, for the security at the courthouse. SHAPIRO: And Cunningham even paid for the county fitness center. CUNNINGHAM: They're even charging us for the employee's fitness gym. I was like, ugh. I couldn't believe it. I don't think people even know that out there. SHAPIRO: Cunningham's current attorney, Anne Yantus, works for Michigan's State Appellate Defender's Office. ANNE YANTUS: From the defense view, the sentence is meant to be the punishment for the crime. And to then say that we're going to charge you for the privilege of being prosecuted and sentenced for the crime is somewhat a double penalty. SHAPIRO: Yantus says state legislators don't want to raise taxes. So they fund popular programs by charging more and more fees to an unpopular group: defendants and the convicted. Michael Day is the administrator for the Allegan County Circuit Court. SHAPIRO: On a tour of the courthouse, Day says it's reasonable to charge defendants for the cost of operating the courts. MICHAEL DAY: The only reason that the court is in operation and doing business at that point in time is because that defendant has come in and is a user of those services. They don't necessarily see themselves as a customer because, obviously, they're not choosing to be there. But in reality they are. SHAPIRO: NPR counted some 20 different fees charged to people who go to court in Michigan. In 2012, these raised $345 million. The state court system keeps track and sends judges spread sheets showing how much they collect. 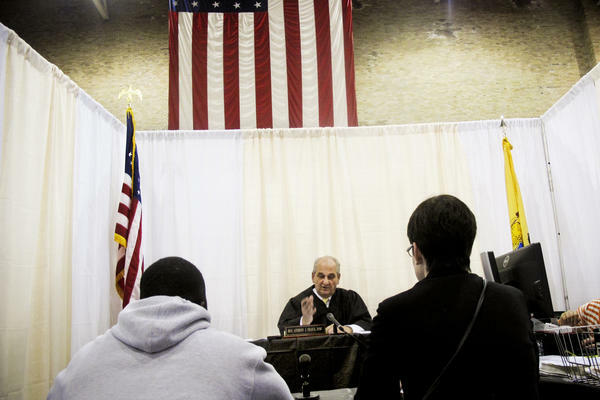 Some judges in Michigan are troubled that they're forced, by the counties and by the state legislature, to collect more and more fees from often indigent defendants. William Buhl recently retired as a circuit court judge. WILLIAM BUHL: Its money, money, money and it's going on forever. And the question is: At what point do we stop punishing people for something? SHAPIRO: Patrick Bowler is another retired judge. PATRICK BOWLER: The feeling for us on the front line that deal with people directly, was that the legislature was out of touch with the society and the economic situation in our communities, and how poor people really are. Some judges felt that the higher ups were attempting to force judges to get blood out of the, you know, proverbial turnip. SHAPIRO: Judges will get some guidance soon. Last month, the Michigan Supreme Court heard the case of Frederick Cunningham. The justices are expected to rule on whether defendants should be billed for the cost of running the court system. SIEGEL: Tomorrow in our series, Guilty and Charged, Joe Shapiro gives us a closer little known at that charge for a public defender. UNIDENTIFIED MAN #4: We have a system that has created a real perverse incentive. We need crime, otherwise the system falls down. CORNISH: You are listening to ALL THINGS CONSIDERED from NPR News. Transcript provided by NPR, Copyright NPR. Texas lawmakers are looking into whether more should be done to provide mental health services for inmates at state prisons. Prison officials say inmates already have access to medication and individual or group counseling for mental illness. 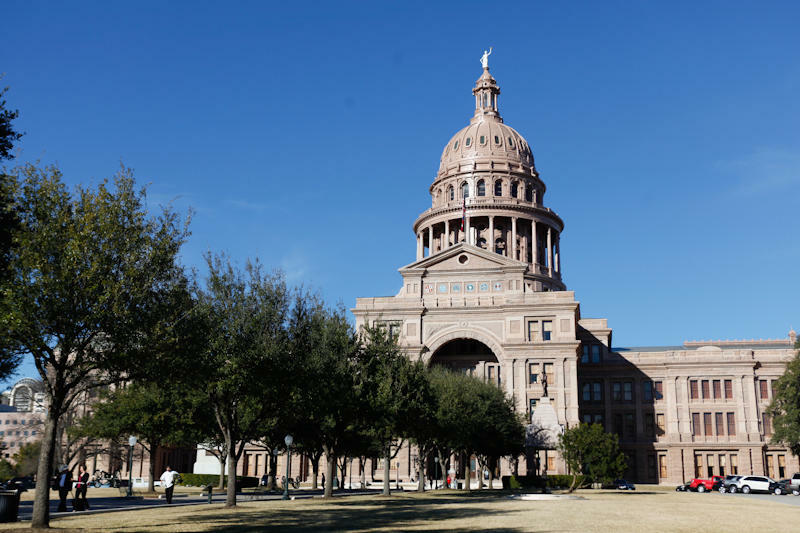 Texas Department of Criminal Justice Executive Director Brad Livingston says the legislature has provided enough mental health funding in recent years for prisoners and parolees. And, he says, it shows.